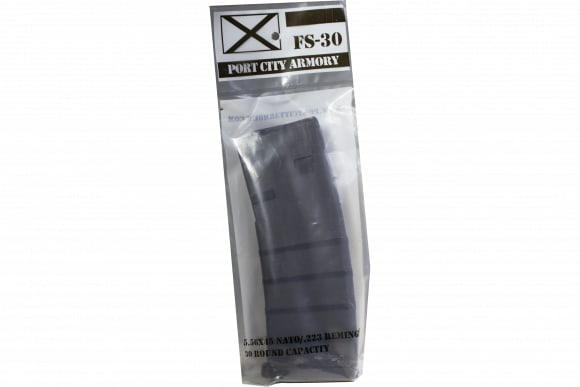 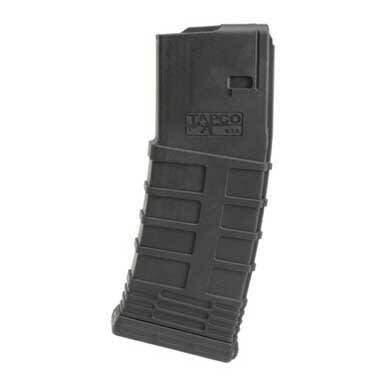 Port City Armory FS30: Port City Armory's FS-30 is a 30-round, standard capacity magazine for the AR-15. 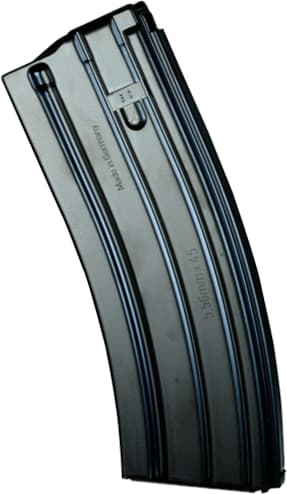 Features include constant-curve internal geometry, an anti-tilt and self-lubricating follower, a 17-7 stainless steel spring, and an easily-disassembled floorplate. 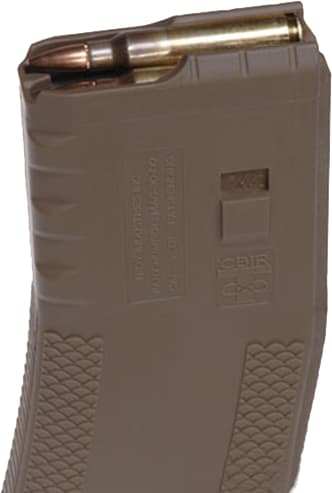 Proprietary materials were chosen to impart durability, heat and chemical resistance, and smooth operation. 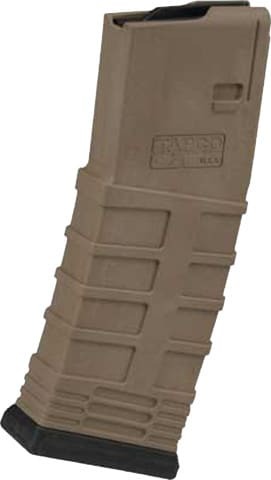 The exterior features and texturing provide a non-slip grip. 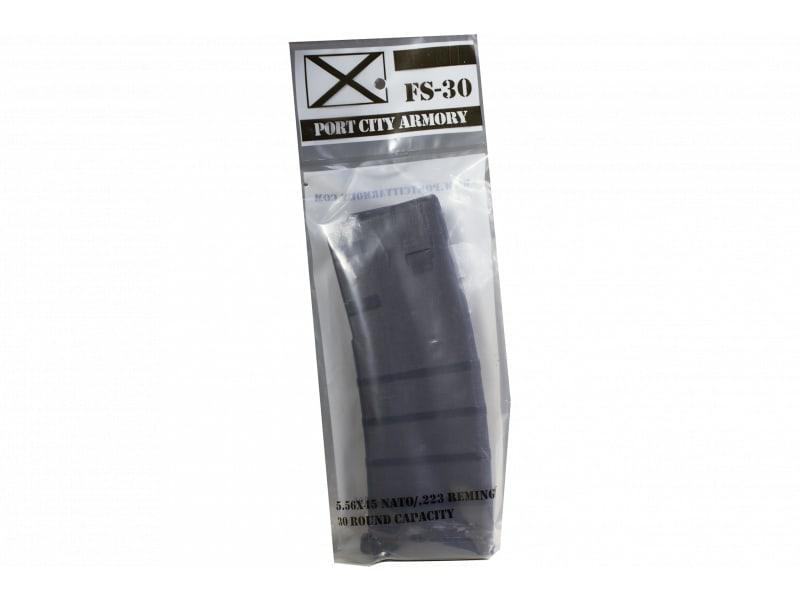 It easily seats on a closed bolt when loaded with 30 rounds, smooth feeding of all types of ammunition, and retention of rounds when impacted. 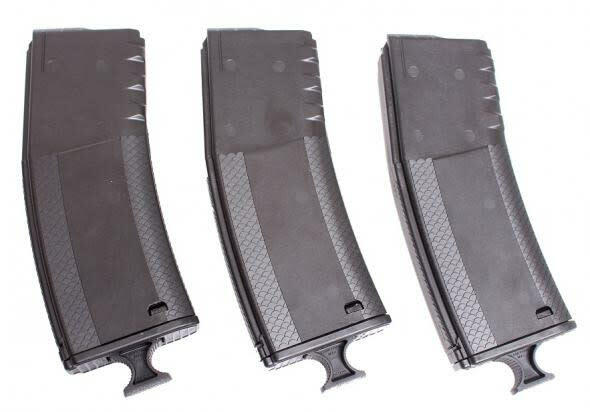 Designed, manufactured, and assembled in Louisiana.